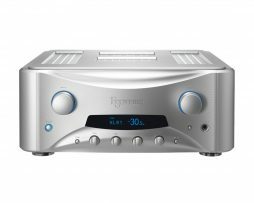 The ESOTERIC “RZ-1” is a high-end integrated music system that houses a Super Audio CD/CD drive mechanism, a 32 bit D/A converter, a phonostage and an integrated amplifier, all within an elegant, low profile body. The RZ-1 features a drive mechanism that is capable of Super Audio CD and CD playback using its high resolution 32-bit DA converter. This system offers a complete set of external inputs, including three digital inputs (USB, coaxial and optical digital), enabling it to support digital audio inputs in studio master quality from a PC or other external devices. The RZ-1 is also equipped with ESOTERIC’s custom design integrated power amplifier, which amplifies all sources signals in true high fidelity. Though the RZ-1 is an integrated system that is best suited for casual listening, it faithfully incorporates the high-end design implementation that is characteristic of ESOTERIC, and was developed to be the finest integrated music system in its class. ‘High-rez media convergence’ is the design philosophy of the RZ-1. The RZ-1 is compatible with high-rez SA-CD discs. 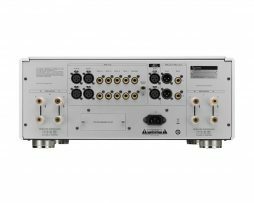 In addition to coaxial and optical inputs (24-bit/192 kHz compatible), the RZ-1 is also equipped with a USB input (24- bit/96 kHz). By connecting to your PC and utilizing high levels of data resolution to transmit and amplify sound, this system enables you to playback high-resolution music files, from hard disk drive PC storage, in studio master quality. ESOTERIC’s high-end expertise was fully applied to design the USB input, with great care and attention given to detail. 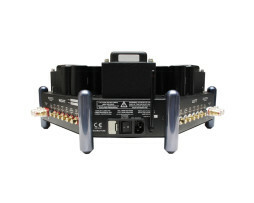 In order to prevent external interference from mixing with the audio signal, the RZ-1 is equipped with a USB isolator. This enables the RZ-1 to isolate the USB power supply and signal lines from the device. The DAC device installed in the RZ-1 is the “AK4392”, produced by Asahi Kasei Microdevices Corporation. 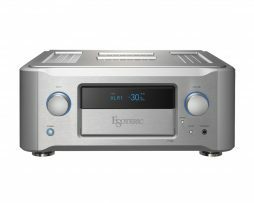 This device is compatible with both DSD and PCM formats. 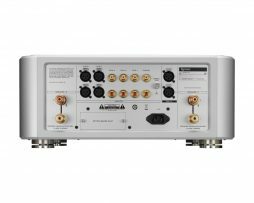 Our relentless pursuit to produce high quality sound is also reflected in the digital signal processing circuit that was developed for the RZ-1. This circuit delivers high speed and processing capabilities, and enhances the analog circuit’s ability to receive data. The input I/F, digital filters, and Delta-Sigma modulator are all capable of 32-bit processing. If data with a resolution of 24 bits or less is input, the digital operation circuit performs high-precision extrapolation, thereby contributing to higher sound quality. The RZ-1 is equipped with two different types of digital filters for PCM format signal processing. In addition to the finite impulse response (“FIR”) digital filter, which is known for its outstanding sound quality, a short-delay digital filter is also available to remove the pre-echo effect inherent in impulse waveforms, thus creating a more natural generation of sound. The filter selection used is entirely user selectable. The RZ-1 is equipped with a powerful analog power supply circuit. This circuit combines the largest toroidal transformer that can be installed within the integrated system’s slim body, and large capacitors for rectifying the circuit. The driving capacity of the ESOTERIC power amplifier is more than sufficient to drive low-efficiency, small sized high-end loudspeakers, achieving a full and natural expression of sound. The RZ-1 comes with two sets of RCA audio connections. 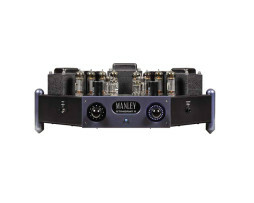 One set can be switched to serve as MM phono input terminals. The RZ-1 features a wide variety of functions, including power standby, bass and treble tone controls, L/R signal balance control, a sleep timer, and display dimmer. Because it is an integrated system designed for casual listening, special care and attention has been given to ensure that RZ-1 is easy to use. hours of work were needed to three-dimensionally process the aluminium, within a one-micrometer measure of precision. By deftly integrating the curved surfaces and lines with precisely cut lines, the result is an elegant, streamlined design from the front to the top, creating a sense of artistic presence. Looking to enjoy the pure pleasure of those moments of serenity and relaxation? For those with a refined and discriminate taste in their lifestyle, the system’s operations are extremely simple. The round-shaped push buttons are designed to compliment the streamlined front design. 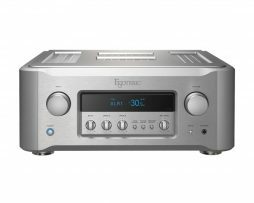 Likewise, the simple design bearing only the essential operations, such as PLAY and volume, further enhances the system’s usability and brings the pleasure of listening to music closer to your heart.